Somewhere in the early chapters of this book, a memoir of a the middle period of his life, Ernest Hemingway describes the way he wrote his short stories - start with the truest, shortest sentence you know and tell the story it implies. Hemingway is constantly writing in this book. Writing comes easy for him because he had learned so many true sentences. We tell young writers to write what they know. We should add that they must strive to know interesting things. This memoir begins when Hemingway is 25 years old. At that point he was or had been a war hero, an alcoholic, a great hunter, a poet, a husband, a journalist, a father, a fishing guide, an editor at a powerful literary journal, a nurse and an unabashed fanboy of all modern art. A Moveable Feast may be Hemingway's memoir, but it is not about him. We learn many things about him, sure. That he was propositioned sexually by an older man while stuck in the hospital, that he thought nothing of having bottles of wine with breakfast, that after he quit journalism he would skip meals and tell his wife that he'd eaten to save money, and that he knew how much more time to wait for a thermometer with a large volume. But these are all incidental asides, stories that he tells the other, more central characters. This book is organized around his friends, his many great friends that he learned so much from. 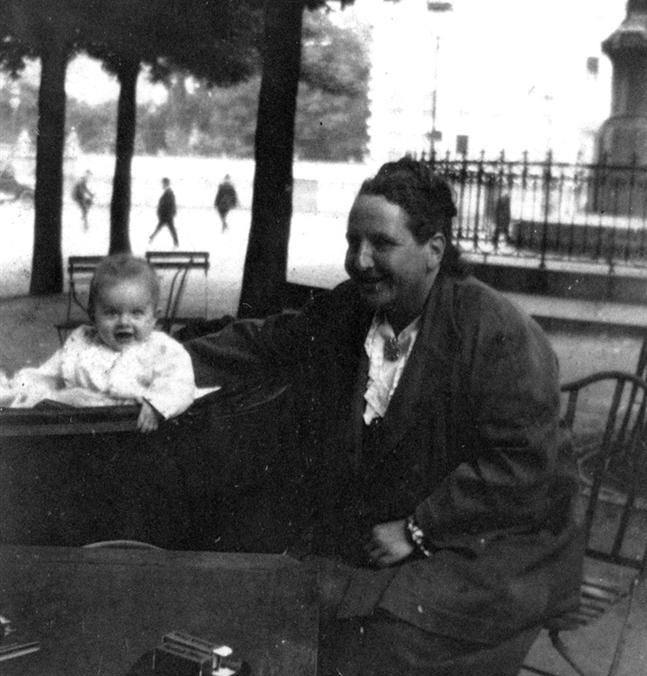 There is Gertrude Stein, a conservative, homophobic old man who happens to also be a hypermodernist intellectual lesbian woman. She expected as a matter of course that the wives (including Hadley Hemingway) would go to the other room while the "men" talk. She is an inveterate advice giver and Hemingway - being a young man - hangs on her every word, even as he knows they become absurd (particularly, her homophobia). Hemingway recounts that she pushed aside friends who could not help her career, and counts himself lucky that he was able to get her published. There is the energetic Ezra Pound, always coming to the rescue of some poet or another, such as some American expat in England named Tom Eliot. He is a warm man who never fails to support a friend - oh yes, and also a raving fascist convinced that usury is the cause of all wars and Jews the cause of usury. There's Joyce, the half-blind family man who Hemingway and the others (except Stein) consider the greatest writer in the world. Hemingway even frequents a restaurant after hearing Joyce eats there. There's a host of other characters whose names do not ring in the halls: bartenders who served the world's great artists but remembered nothing but their favorite sandwiches, duplicitous literary editors who are just about to grant you a prize, old men who could fish in the River Seine and that famous garage owner who shouted at his laggard mechanic "You are all a génération perdue!". Perhaps the most famous word painting is the caricature of Scott Fitzgerald, the low functioning alcoholic to Hemingway's high functioning. Hemingway gives Fitzgerald full marks as a writer. "His talent was as natural as the pattern that was made by the dust on a butterfly's wings. ", he says (so dry and grey that hemingway prose, haven't you been told?). Scott Fitzgerald ignites within Hemingway a passion to write a novel, a somewhat important little ambition in Hemingway's life. The sober Scott Fitzgerald is a kind, helpful man and a great artist with language. It's too bad that being around Hemingway means absorbing a small bucket of alcohol, which chemically converted Fitzgerald into a rude, paranoid jackass. One passage that would be funny if it weren't sad is Hemingway describing his attempt to not get Ftizgerald drunk - they would only have one bottle of the lightest wine Hemingway could order with their breakfast. They could not conceive of a day without alcohol, even though they knew the consequences. If you keep in mind that Hemingway talks about his friend and rival at low points in their lives, you'll see that the conception of Fitzgerald is not mean spirited. But perhaps it is a bit unbalanced. It goes without saying that this is a Great Book, something immortal even if it is grounded in a specific time, place and culture. It is a book filled with brilliant passages and insight, written in that often attempted, never imitated rapid, clear Hemingway style. Like Shakespeare, after reading this book you'll want to quote it's quips and observations in every situation. Like The Dream Of The Red Chamber, it is the tale of a tiny, beautiful and self-destructive subculture that you cannot help but admire even as you ponder its alien values. The French translation of the title is Paris Is A Feast, and it is. This book too is a feast, a spiritual feast that can move to any time that you need.